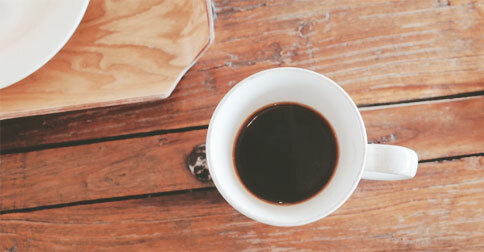 What's The Best Way To Drink Coffee? You should be in pajamas, a bath robe, some equivalently comfortable clothing, or naked. If it’s cold, you should be inside close to a window with a nearby source of heat. If it’s warm, you should be outside on a patio or balcony. Ideally, it will be raining, but not in a way that threatens your plans for the day. You should have food handy, preferably high quality pastries or some fresh cooked eggs and breakfast meats. You should have some cream or half and half if you like to add that to your coffee. And sugar. There should be no fake sweetener of any kind within miles of you and your coffee. You should be with loved ones or alone. Perhaps you are waiting for loved ones to wake up and join you for coffee. Yes, that sounds about right. In the background, you hear the sounds of nature. Or perhaps the early morning sounds of the city. Or perhaps the comforting drone of NPR. Or a fire. Or the aformentioned rain. Perhaps some combination of these. You do not have to work that day. This is the best way I can think of to drink coffee.